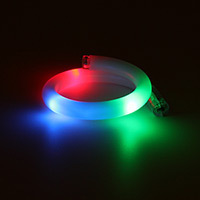 Our fantastic 6 color mode LED Orb Ring is the ring with the bling. 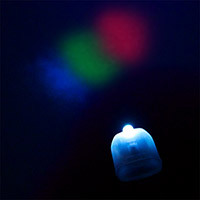 Set the LED ring to fade between colors, select a single blinking color or choose RGB strobe. This deluxe heart has an incredible 10 LEDs that move from the bottom and meet together on top to symbolize your true love. 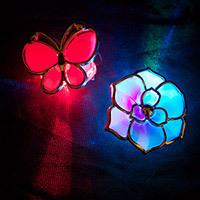 Show you have heart with this super bright flashing heart pin. 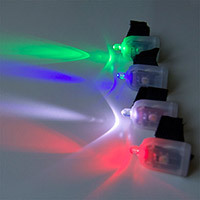 Be a super star with this super bright, 7 mode flashing star pin. The Red, Blue and Green flashing LED's in the pacifier necklace light up the room. 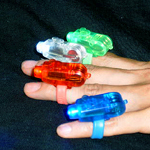 With 3 incredibly bright white LEDs these Super Bright Jelly Rings pack quite the light-up punch.